PROPOSED STATUTE ON EX PARTE MOTIONS MAKES IT SO MUCH EASIER TO STEAL YOUR CHILDREN! WHAT ABUSIVE EXES ALWAYS WANTED! A WAY TO TERRORIZE YOU BY STEALING YOUR CHILDREN WITHOUT NOTICE, WITHOUT A HEARING! The following is a draft amendment to that statute addressing both of these concerns. Section 46b-56( ). Authority of Superior Court to enter order of temporary custody of a child Application. Court orders. Duration. Expedited hearing for continuance of order. ( ) An applicant for custody under this section may make an application to the Superior Court for an emergency order of custody under this section. or (4) such further orders as the court determines to be in the child’s best interest. party and granted, the order shall not be continued except upon agreement of the parties or by order of the court for good cause shown. application seeking an ex parte order, the affiant shall also disclose what steps were taken to inform the respondent of the request if any, or, if none, the reasons why the court should nonetheless consider such application on an ex parte basis. MORE NEWS ON THE JUDICIAL CONSPIRACY TO STEAL YOUR CHILDREN! It is dinnertime and you and your children just sat down for your meal. There is a knock on the door. You open the door and find several police officers standing there with a court order removing the children from your care and handing them over to their abusive father. You went through a lengthy court battle for two, maybe three years, and are essentially broke. Yet, with a single ex party motion held before a judge without any notification to you, and outside of your presence, without any minimal attempt to hear your side of the story, you have lost custody. It could take months before you get your children back, and even then the burden is on you to clear up the situation. Does it sound unjust, capricous, arbitrary? Does it seem like it could never possibly happen? In a recent Family Commission Meeting, 8 members of the Commission cast deciding votes approving the legislation for ex parte hearings on custody. This means the proposed legislation will now be sent to Judge Barbara Quinn for submission to the legislative judiciary committee. These actions alone are a violation of the Constitution in that they represent a violation of the separation of the powers of government which is fundamental to our democratic system. Private Attorney General Michael Nowacki, who was present when this matter was discussed at the Family Commission Meeting, has this to say about what occurred, "This proposed legislation by the judiciary is just another power grab and the most dangerous endorsement of an increase of the powers and jurisdiction of the Courts imaginable." I will continue to keep you informed of this situation as it unfolds, so make sure you check back for more news. Please contact your legislators and let them know that you are profoundly appalled by the actions of Judge Lynda Munro and those Members of the Family Commission that supported this appalling ex parte legislation. JUDGES CONSPIRE TO KIDNAP YOUR CHILDREN! Many of us have had multiple experiences of judges acting capriciously and outside the bounds of the law, putting our children at risk and causing them harm and damage. Thus, it will probably be no surprise for you to hear that, in a recent meeting of the Family Commission of the Connecticut Judicial Branch, observers noted additional behavior of this kind. On Wednesday, November 14, 2012, the Family Commission headed by Judge Lynda Munro met at the Middletown Courthouse at 2:00 p.m. Number 2 on the agenda was the use of ex parte motions for custody. The judges in that meeting were there to discuss how to expand the power of judges to make ex parte custody decisions almost unlimited by drafting legislation to this effect which it intended to submit to the State Legislature. This is a violation of the separation of powers of government which dictates that judges are not allowed to draft legislation or approve of legislation in order to submit it to the legislature. While judges are required to support the constitution and uphold the law, they are by no means supposed to draft it. In other words, as Citizen Attorney General Michael Nowacki has stated, "Judges rule on and apply existing law." they do not create it. So, what is an ex parte custody decision? An ex parte decision is where the judge makes a decision with one party in the case, but absent the presence of the other party. Now we know ex parte communications with a judge aren't legal, so how does it become legal to have ex parte hearings where the judge is allowed to make decisions about matters as important as the custody of your children? Imagine how this kind of situation could go. Your ex gets an ex parte hearing for custody of your child, and the next thing you know he or she is standing at the door demanding you hand over your child, judge's orders in hand. That is really, really frightening, and very possible the way this legislation is being drafted. Ordinarily, making an ex parte decision is not legal, but I am aware they are allowed when there is a need for a restraining order in circumstances where there has been an allegation of domestic violence. In a case like this the court would order another hearing 14 days later in order to hear the other side of the story. Ex parte motions in regard to custody are granted under Connecticut General Statutes 46b-56(f). I assume under circumstances where there is an emergency or a situation where a child is in imminent danger, an ex parte motion for custody could be granted under Connecticut General Statutes 46b-56(f). The problem is, from what I am hearing, there are multiple cases in which judges have taken children from fit parents in Connecticut through the use of ex parte hearings, and then not followed up with an evidentiary hearing with both parents present to state their arguments, in actions that essentially amount to taking children hostage. This is a serious denial of the due process rights of the parents involved in such cases. At the present time, under 46b-56(f) there is very little guidance for judges in regard to ex parte motions and yet it has been used as the basis of a number of famiy court decisions which are currently on appeal. The wording of this section is as follows, "When the court is not sitting, any judge of the court may make any order in the cause which the court might make under this section, including orders of injunction, prior to any action in the cause by the court." If this seems a little vague and unclear to you, it comes across the same way to the judges who have used it as the basis for using ex parte hearings to take custody from parents without a hearing as they acknowledged in a Family Commission Meeting held on April 11, 2012. For example, the phrase "When the court is not sitting..." has historically been understood to mean when the court is on vacation, yet many ex parte motions have taken place when the court is in session and not on vacation. Try to figure that one out! I suspect that is when judicial discretion kicks in. We are not on vacation, but I'm going to do this anyway kind of thinking! Further, while the Members of the Family Commission Meeting agreed that judges have the authority to grant ex parte custody orders in the April meeting, the preamble to the draft legislation prepared for the November meeting states clearly that some judges believe that the current version does not give judges "present authority for the issuance of such ex parte orders". If this is so, you have to wonder why judges are issuing these orders when their authority to do so is so tenuous. In an effort to what appears to me to be an attempt to cover their tracks retroactively, in the fact of upcoming lawsuits in Appellate Court, the Commission prepared a draft amendment in order to specify more clearly what elements would have to be present in order to grant an ex parte order for a change of custody. This draft amendment is quite alarming because it allows for an ex parte change of custody for the most flimsy circumstances. The wording in the draft is that an ex parte motion can be made when there is an allegation of "an immediate and present physical or psychological danger to the child." This is extremely non specific, broad wording which can be used to apply to almost any situation. Then, even more alarming, the draft continues on to allow the judge to issue additional orders in an ex parte motion such as, for example, Item #4 "such further orders as the court determines to be in the child's best interest." That pretty much includes everything! The proposed draft legislation is a tremendous power grab on the part of the judges of the Family Commission. Not only is it a power grab, it is also, as Mr. Michael Nowacki has pointed out, "a clear and unambiguous abuse of judicial administrative authority." 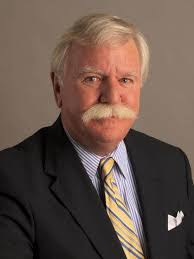 As Mr. Nowacki reminds us the Connecticut General Constitution defines the limited authority of the judiciary branch of the government in the "Constitution State" in Article Sixth: "The powers and jurisdiction of these courts shall be defined by law." Thus, creating laws is the exclusive province of the legislature. Despite this, in their meeting on November 14, 2012, the judges of the Family Commission sought to go beyond their jurisdiction and create legislation. The danger this represents to us is very clear. If they continue in this track, parents will have no protection from Judges who abuse their authority and take children from their parents and hold them hostage on frivolous grounds. Divorce in Connecticut will continue to keep a close eye on this situation and report on new developments as they arise.